A modern quilt using yummy sandscapes and Stonehenge fabrics. 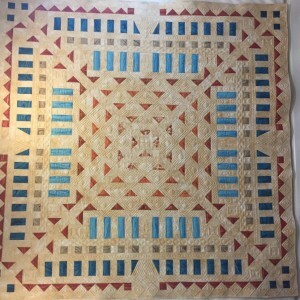 While making this quilt I learned that in Arizona, turquoise is a by product of the copper mining. I quilted it myself using two layers of batting - 80/20 with wool on top to make the stone sections puff out some. Love the way it provides such definition.